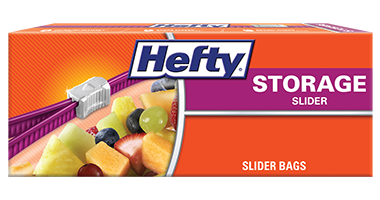 Hefty® is dedicated to finding ways to create our products that minimize our environmental impact and utilize responsible and sustainable manufacturing processes. For example, our line of Deluxe™ and Everyday™ foam paper plates use 60% less material by weight, generate 50% less greenhouse gas emissions, and require 50% less energy to produce than comparable paper plates. In this manner foam plates have a smaller environmental footprint than their comparable paper equivalents. 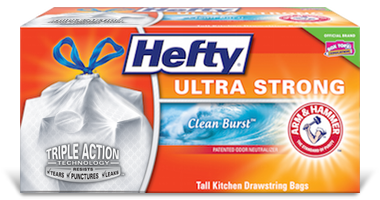 We are also environmentally conscious when producing our line of Renew® recycled content trash bags. 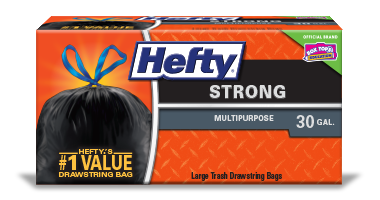 Made from 65% recycled plastic, the recycled material for these reliable bags helps to cut down on landfilled waste.